We are off to a great start here at Crystal & Co. 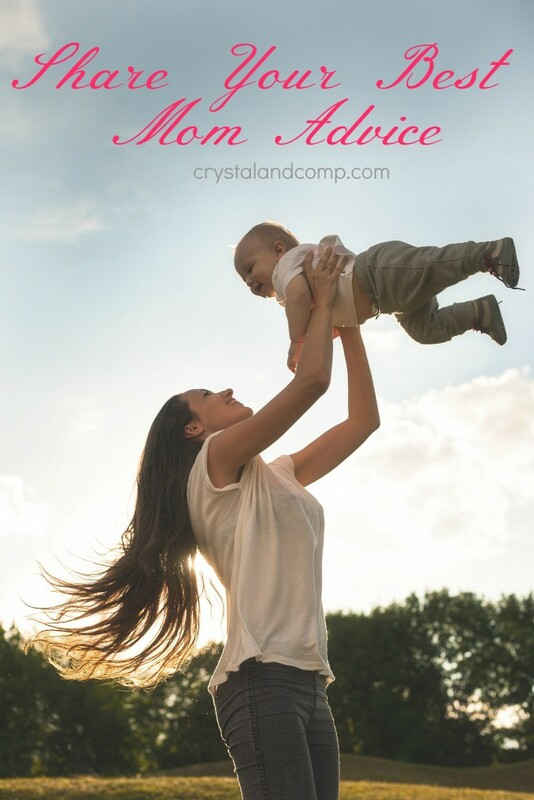 I simply love Tuesdays when we open up the opportunity for sharing some really great tips and tricks to make mom life so much easier! Each week brings new ideas with recipes,mom advice, decorating tips, and lots of kids activities. Resources at your fingertips! Last week there were 129 great ideas shared so this week will have just as much or more great tips for all you moms and fellow bloggers out there. 1) Moms Are Frugal shared Teaching Teens About Money. 2) Hilary Bernstein shared 40 Things To Pack In A Lunch. 3) Life With Captain Fussybuckets shared How My Four Year Old Taught Me About Optimism. 4) Playdough & Popsicles shared How Make Paint With Fresh Fruit. 5) The Sunny Patch shared 4 Freezer Cooking Tips For Busy Families. Hope you are having a great day and thanks for the party. 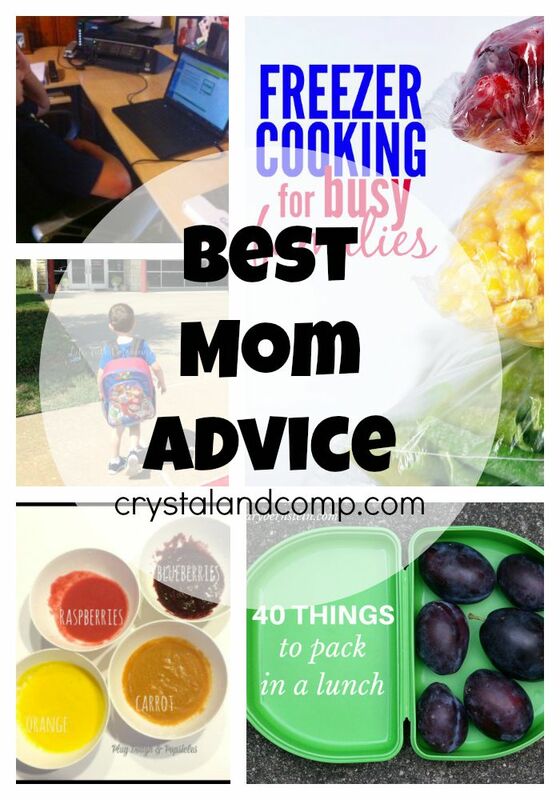 Thank you so much for including my lunch post in last week’s Best Mom Advice … and thanks for this link-up!